Andrew Cribbet graduated from Barbizon Midwest of Illinois in 2010. But, his behavioral issues go much farther back, and so does his dance career. Andrew arrived to the Christine Rich Studio at age 6. Unfortunate life difficulties had left him with extreme behavioral problems and continual dismissal from every school he went to. His custodial grandparents expected him to be dismissed at CRS too yet, through perseverance and a focus on discipline, Andrew has risen to great heights with his dance. Andrew slowly learned to redirect all of that negative energy into dance and turned his life around quite literally. He blossomed in dance. 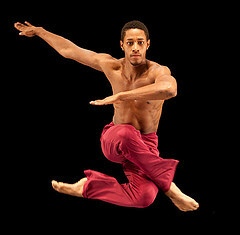 He studied ballet, jazz, tap, Irish, modern, acrobatics, strength, and hip-hop. He was coached at first by Christine Rich and then eventually added coaching with CRS ballet director Luciana Rezende. He won every competition he went to starting at age 7! and finishing in the top 12 ensembles in the WORLD! 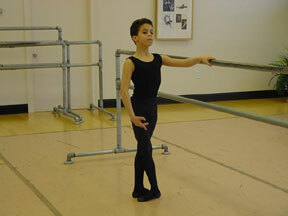 Andrew started performing on professional dance stages in Chicago at the age of 10. At age 11 he performed on a program after Hubbard Street Dance and before Joffrey Ballet Chicago. He was reviewed at age 11 by the Chicago Tribune senior arts critic Sid Smith who felt in watching Andrew and Becky, he was witnessing them dancing "... almost as if they were New York City Ballet principals." During this transition, Andrew became an outstanding student and a leader at school. Academically he achieved Top Honors List at school each semester. 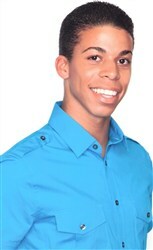 Andrew worked very hard for his dance by training 6 days a week and coming in for rehearsals and coaching on weekends. As he says, "You get what you put in." In 2008 Andrew entered the NAACP's Act So competition for African-American high school students. Categories ranged from chemistry and math to music and dance. Andrew finished first nationally and took home the gold medal in Dance. In February 2009 Andrew competed as a soloist in Youth America Grand Prix taking home a medal in Contemporary dance in the Senior Men's category. At that competition the overwhelming enthusiasm from the audience could not deny the charisma Andrew brought when he stepped onstage. Andrew received a full scholarship to Washington Ballet's Professional Training Program for the Summer '09 as well as Fall '09 - Spring '10 plus a full scholarship to attend the Duke Ellington Performing Arts High School. Read the newspaper articles on Andrew's success! Abby Rockendorf's Inner Beauty Shines Through!